This site is owned and operated by TVB (Australia) Pty. Limited, a subsidiary of Television Broadcasts Limited ("TVB") and contains material which is derived in whole or in part from material supplied by TVB and other sources, and is protected by the applicable laws including without limitation to copyright and trademark laws. All rights, including copyright, in the content of these TVB Australia web pages are owned or controlled by TVB Australia, TVB and its subsidiary companies or affiliates or its suppliers or licensors. Access to and use of this site is provided by TVB Australia and conditional upon your acceptance and compliance with the terms, conditions, notices and disclaimers listed on these web pages (“Conditions of Use”). Your use of this site constitutes your acceptance of the Conditions of Use. TVB Australia reserves the right to change the Conditions of Use at any time at its sole discretion by posting changes online without prior notice. You will read and understand the Conditions of Use and refer to them periodically. Your continued use of this site after changes are posted constitutes your acceptance of the Conditions of Use as modified by the changes posted from time to time. Breach of the Conditions of Use may result in TVB Australia to deny your access or use of this site and in serious cases to complain to your Internet Service Provider and/or to initiate legal action against you. not impersonate any person or entity. TVB Australia reserves the right to co-operate with any law enforcement authority in any jurisdiction in respect of any lawful direction or request to disclose your identity or other information if you violate any law. If you are under the age of 18, your access to and use of this site is being supervised by an adult. TVB Australia reserves the right to archive and republish all materials, information and/or content posted to its interactive features across all platforms and/or on this site in any other publication and/or website of TVB Australia or its parent company. TVB Australia reserves the right to use the materials, information and/or content posted on this site in whatever ways TVB Australia chooses, now and in the future. The intellectual proprietary rights in the information, materials, software, graphics and text of this site (“Content”) belong to TVB Australia, TVB and its subsidiary companies or affiliates, its supplier and/or its licensor and they are protected by the applicable laws including without limitation to copyright and trademark laws. You are not permitted to modify, copy, reproduce, republish, frame, upload, post, distribute, broadcast, download, store (in any medium), transmit, show or play in public, adapt or change in any way any Content including code for any other purpose whatsoever without the prior written permission of TVB Australia. You may only download and view the Content for your own personal non-commercial use provided you keep intact all copyright and other proprietary notices. You are responsible for the materials, information and/or content you post to this site (“Contribution”). will first obtain permission from the right holder if you refer to any information or materials belonging to someone’s else. TVB Australia has the right to use the Contribution in whatever ways TVB Australia chooses, now and in the future. sublicense any of the above rights to any third party and you will not be entitled to any remuneration of whatever nature in respect of all of the above. You confirm that none of the above acts will infringe your moral rights or any similar rights in any jurisdiction. The grant described in clause 2.6 includes the right to exploit all proprietary rights including, without limitation, copyright and trademark laws in any such Contribution in any jurisdiction. At the request and expense of TVB Australia, you will execute all necessary documents and take any action that TVB Australia deems fit to give effect to such grant. TVB Australia reserves the right to edit, refuse to post, remove, delete, conceal, alter any content, information and/or materials or part thereof that are posted to this site at its sole discretion. Further, TVB Australia is not held responsible for any Contribution that is posted by you or any third party and you agree to indemnify and hold TVB Australia and their respective directors, officers, employees and agents harmless from and against all liabilities, actions, claims, proceedings, damages, costs and expenses arising out of or related to your Contribution. The Content is provided "AS IS" and on an "IS AVAILABLE" basis without any representation or endorsement made and without warranty of any kind whether express or implied, including but not limited to the implied warranties of merchantability, fitness for a particular purpose, non-infringement, compatibility and security. TVB Australia does not make any claim or representation as to the suitability, completeness, reliability, accuracy, timeliness or otherwise of the Content in this site. All warranties, whether expressed or implied, in relation to this site and Content are excluded to the extent permitted by law. In no event will TVB Australia, TVB and its subsidiary companies or affiliates be liable for any losses, claims, costs or damages of whatever nature including, without limitation, special, indirect or consequential damages, loss of use, loss of revenue, loss of data and loss of profits, whether under contract, negligence or other tortious action, arising out of or in connection with the use performance or access of the site or loss thereof. TVB Australia does not warrant that the functions contained in the Content and/or access to this site will be uninterrupted or error free, that defects will be corrected, or that this site or the server that makes it available are free of viruses or bugs. You will take your own risks when access to or use this site and take necessary precautions as to virus checking and security of your computer or network. Further, you assume all costs for the verification and correction of any Content. the refund of any payment for that goods or services supplied (as the case may be). TVB Australia makes no representation about any third party websites, materials or services that you may access through or are linked to this site. TVB Australia has no control over and accepts no liability and makes no representation or warranty as to the content, completeness or accuracy of any other websites linked to this site, including, without limitation, the sites linked through advertisements. The links are provided as a courtesy or convenience only and TVB Australia does not endorse any linked sites and you will use any third party sites at your own risk. TVB Australia also makes no representation about any advertisements appearing in this site (including, without limitation, banner advertisement and full page advertisement) which may contain links or refer you to third party websites. TVB Australia does not endorse the products, services or the company that provides the products or services appearing in the advertisement. Any transactions or your dealings with any third parties on linked sites and/or the advertiser are solely between you and such third parties and/or the advertiser. Further, TVB Australia will not be liable or responsible for any loss or damage whatsoever and howsoever incurred as a result of any such transactions or dealings or arising from the use of or access to those linked sites and/or the advertiser. Any information (including without limitation to prices) on the third party websites and the advertisement are subject to change without notice by such third party or advertiser and TVB Australia will not be liable or responsible for any loss or damage whatsoever and howsoever incurred by you. Your Contribution will not be considered as any complaint as to the service or program concerned. 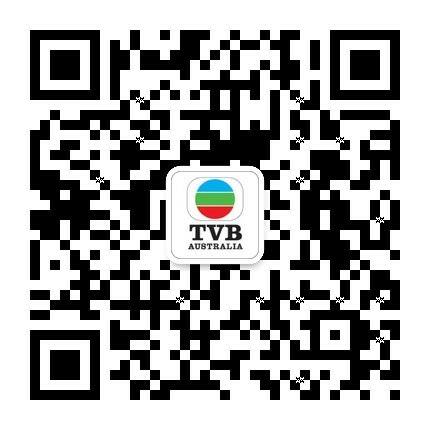 If you wish to lodge a complaint, please send it to marketing@tvb.com.au or Marketing Department of TVB (Australia) Pty. Ltd., Level 18, 233 CastlereaghStreet, Sydney, NSW 2000, Australia. The names, images and logos identifying TVB Australia, TVB and its subsidiary companies or affiliates, any third party and their products and services are proprietary marks of TVB Australia, TVB and/or such third party. Nothing contained herein will be construed as conferring by implication, estoppel or otherwise any licence or right under any trade mark or patent of TVB Australia or TVB or any other third party. This agreement is effective until terminated by either party. You may terminate this agreement at any time by discontinuing your access to and use of this site and destroying all materials obtained from it. If you do not accept the Conditions of Use in full, you have to stop using this site immediately. TVB Australia may terminate this agreement at any time without notice and you are no longer authorized to access or use this site. All licenses granted by you and all disclaimers and limitations of liability in the Conditions of Use will survive the termination. TVB Australia makes no representation that the content in this site is appropriate or available for use outside the Commonwealth of Australia. Those who choose to access this site from other locations do so on their own initiative and risks and are responsible for compliance with local laws, if and to the extent applicable. You will indemnify and hold TVB Australia, TVB and its subsidiary companies and affiliates and their respective directors, officers, employees and agents harmless from and against all liabilities, actions, claims, proceedings, damages, costs and expenses arising out of or related to your breach or non-observance of the Conditions of Use. The Conditions of Use are governed by and construed in accordance with the laws of State of New South Wales, Australia. Any dispute arising herefrom is exclusively subject to the jurisdiction of the courts of New South Wales, Australia. Copyrights © 2019 All Rights Reserved by TV Media Australia Pty Ltd.